The squat comes with a slew of variations and techniques that cater to all athletes from the Powerlifting, Weightlifting and CrossFit community. Two of the most common lifts are the back squat and the front squat. Traditionally, the back squat has reigned supreme. 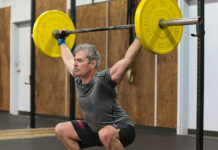 Yet, the recent resurgence of Olympic Weightlfting has given the front squat some newfound respect—thanks in large part to the exponential growth of CrossFit and the rise of some excellent lifters in our community. The back squat and front squat both have their advantages and disadvantages but in almost all cases, an athlete can lift far more weight in the back squat than the front squat. Have you ever wondered why that’s the case? Let’s break them down. The obvious difference between the front squat and the back squat is the positioning of the barbell, whereby an athlete holds the bar in the front rack position (resting on the shoulders with elbows up) and squats down, as opposed to having the bar on the top of the back. 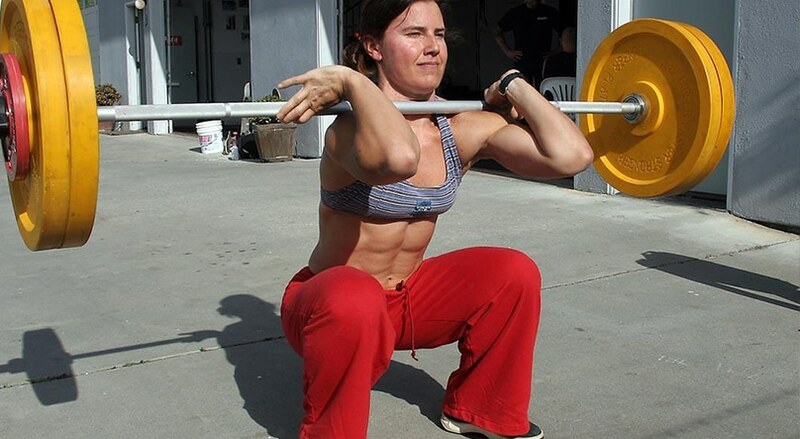 A front squat requires an athlete to keep their torso upright in order to keep the bar over their mid-foot and stop it from rolling off of the shoulders as they perform the squat. An upright torso can help prevent kyphosis in the thoracic spine (curving of the spine that causes a bowing or rounding of the back) if elbows are kept as high as possible throughout the movement. The mechanics of a front squat place a greater demand on the quadriceps, abdominals and knees, and alleviate stress off of the glutes and hips. A 2009 study published in the Journal of Strength and Conditioning Research found that front squats resulted in significantly lower compressive forces than the back squat. 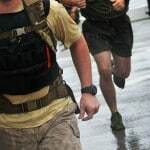 But because the front squat places a greater emphasis on the quads and knees—as opposed to the greater recruitment of the more powerful glutes and hips of the back squat—an athlete’s back squat will (and should) always be stronger than their front squat. On top of this, the bar placement of a front squat (i.e. on the shoulder girdle) is a position where the supporting upper body muscles are at a severe mechanical disadvantage compared to the bar placement of a back squat. It is extremely challenging to support a lot of weight in front of the neck and simply not possible to transfer the same force into the bar as can be achieved in a back squat. Lastly, a front squat requires a great amount of flexibility in the shoulders, wrists, ankles and hips, and the fact that you are forced to keep an upright torso means that you wouldn’t be able to ‘cheat’ as you can in a back squat by arching forward to lift the weight up. Combined, these reasons indicate why an athlete’s back squat is stronger than their front squat. The back squat is the original squat daddy, popular in training programs for athletes of various disciplines for countless years. As the name suggests, the back squat requires an athlete to place the barbell on the upper back (though varying the placement can provide different benefits) while bending through the hips and knees to break parallel. As I mentioned, the back squat engages the muscles of the posterior chain (hamstrings, glutes, lower back, calves, etc), your abs and obliques (for stabilizing purposes) and shoulders, traps and upper back (to keep the bar positioned on the upper back. Furthermore, the position of the bar on the back combined with ones hand position allows an athlete to transfer more force to driving the bar upwards from the bottom position of the squat. As the back squat obviously doesn’t require the weight to be held in a front-rack position, an athlete can extend their hips back further which makes it easier to sit back on the heels and create less stress on the knees. These elements mean that a back squat is generally superior in handling heavier loads, thus pushing maximal strength gains. There is an argument that the back squat puts more compressive and sheer stress on the lumbar spine. If you go into lumbar flexion and/or excessive forward leaning with a back squat, you can significantly increase lumbar stress, but you can still perform the lift. But the nature and the mechanics of the front squat make these faulty movement patterns impossible. While this is true in a sense, it implies that the back squat in general is a dangerous movement, which is not the case. If an athlete is performing a back squat with bad form, then there is obviously a danger to the lumbar spine. 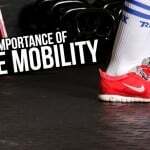 This usually comes with poor mobility and an attempt to move heavy weight before an athlete is ready. On the flip side, the back squat doesn’t produce as much shear force on the knee joints as the front squat. 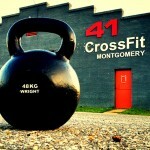 So we have established that the back squat allows you to move more weight than your front squat. But how much more? 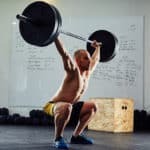 According to legendary strength coach Charles Poliquin, a balanced athlete with good mobility and proficiency in each lift should be able to front squat around 70-85% of their back squat weight. For example, if you can back squat 200 pounds for five repetitions, you should be able to front squat 170 pounds for five reps. If you can back squat 100 pounds for 20 reps, your front squat should be 85 pounds for the same number of reps. One reason few athletes achieve this ratio is that they do not back squat all the way down, thus inflating the total weight they can actually lift in this exercise. 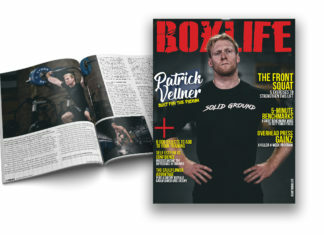 Ultimately, each lift has their benefits and troublesome areas, but what is undeniably important is that an athlete must address both with equal attention so as to avoid any imbalance in their strength, mobility and general performance within CrossFit. Mastering Life: Advice from Masters Athletes on Training, Rest, Mobility & More!